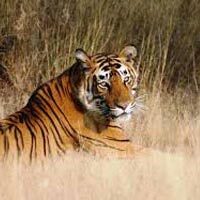 Are you in search of a credible name organizing and hosting Panna wildlife safari tour? If the answer is yes, then we are the right place to approach. Ours is a Delhi, India based travel agency involved in designing different tour packages and organizing tours. At Lawania Adventures Pvt. Ltd., you can share your travel requirements to Book Panna Wildlife Safari Tour. Also, we are offering different Panna Wildlife Tour packages that can be personalized individually. 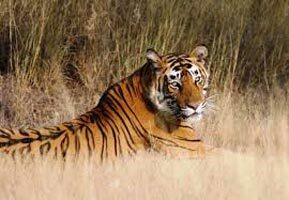 Panna National Park is a very popular wild life reserve located 57 km from Khajuraho, Madhya Pradesh. The park is famous for its big cats and features rich bio diversity. Also, the landscape is rocky and terrain is uneven. Apart from big cats, the park has park also has wolf, chital, sloth bear, chinkara and sambar. After breakfast transfer to airport for flight to Khajuraho. Upon arrival transfer to Lawania Jungle Resort, Panna National Park. Drive to Khajuraho. Upon arrival transfer to hotel. Afternoon sightseeing of Khajuraho. Drive Khajuraho/ Jhansi to connect train to Delhi. Upon arrival transfer to hotel.